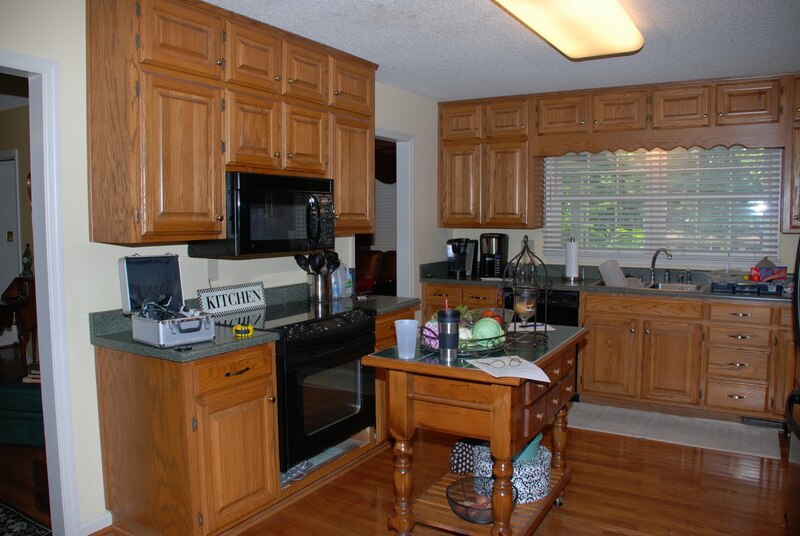 One of the most popular choices in kitchen cabinetry is oak kitchen cabinets. 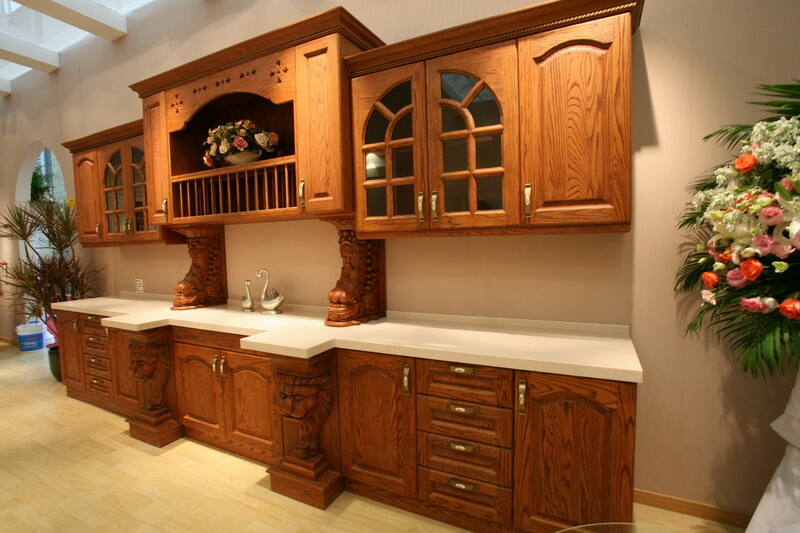 It is not surprising considering the quality the oak wood offers. 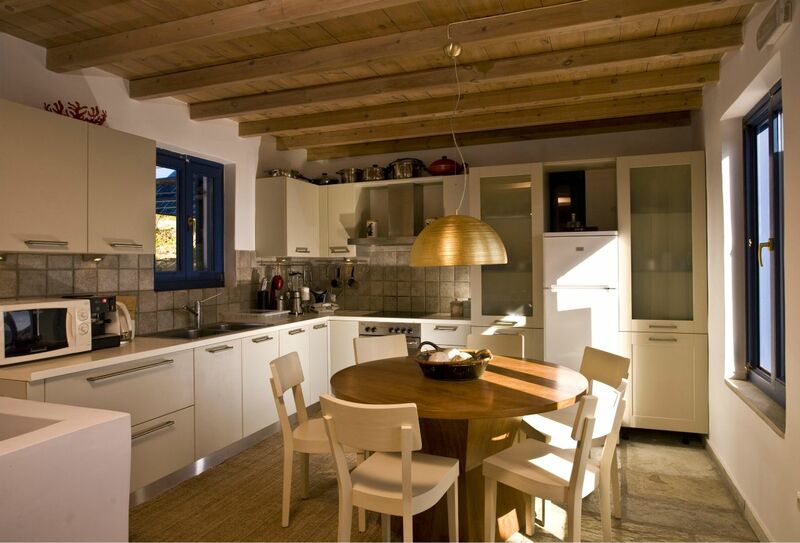 Oak wood is a very heavy and hard wood that is durable and strong. 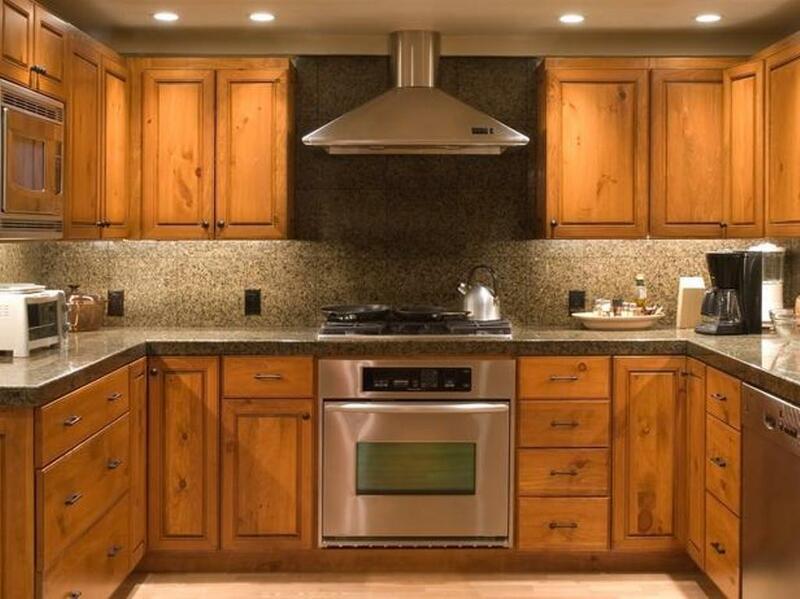 Apart from that, oak wood cabinets can also improve your kitchen aesthetically with their highly visible and coarse grain pattern, making them even more popular choice. 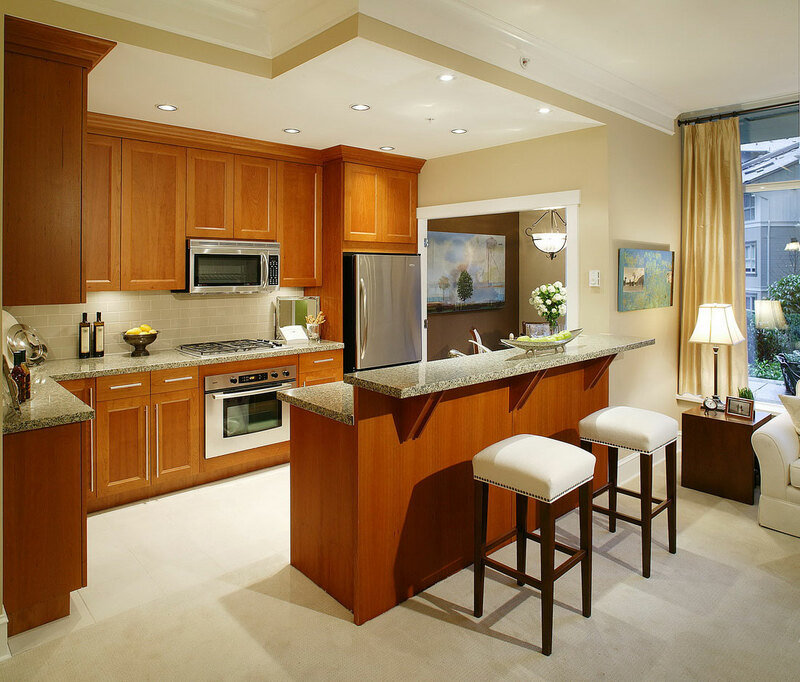 Even though oak wood is renowned for its distinct pale gold surface color, as you explore the oak kitchen cabinets ideas, you can also see that this wood cabinetry is also available in wide range of colors. 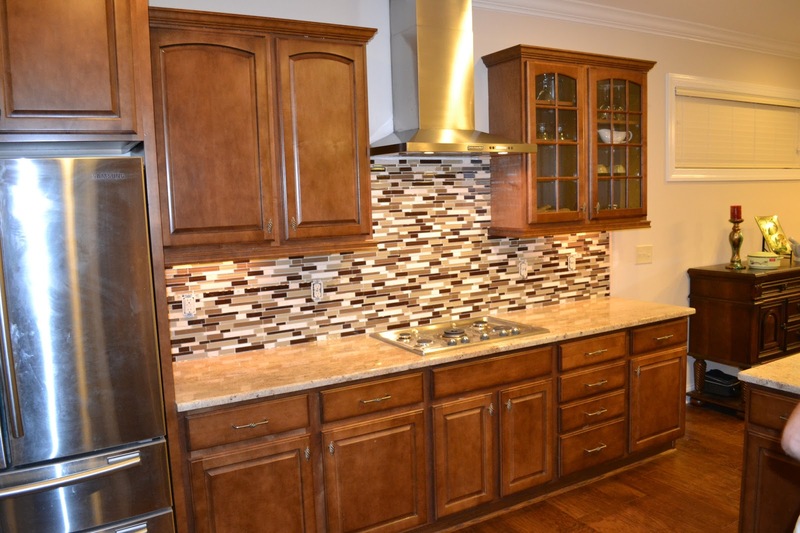 One of the popular choices aside from the notable pale gold color is the gorgeous brown with rich red accent highlighting the cabinet color surface. 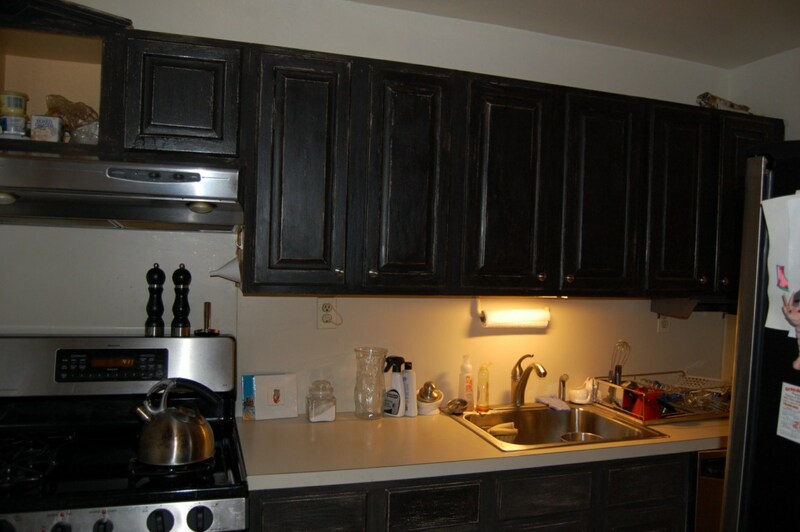 The famous grain pattern a natural oak wood has is often stained to bring out the light shade. 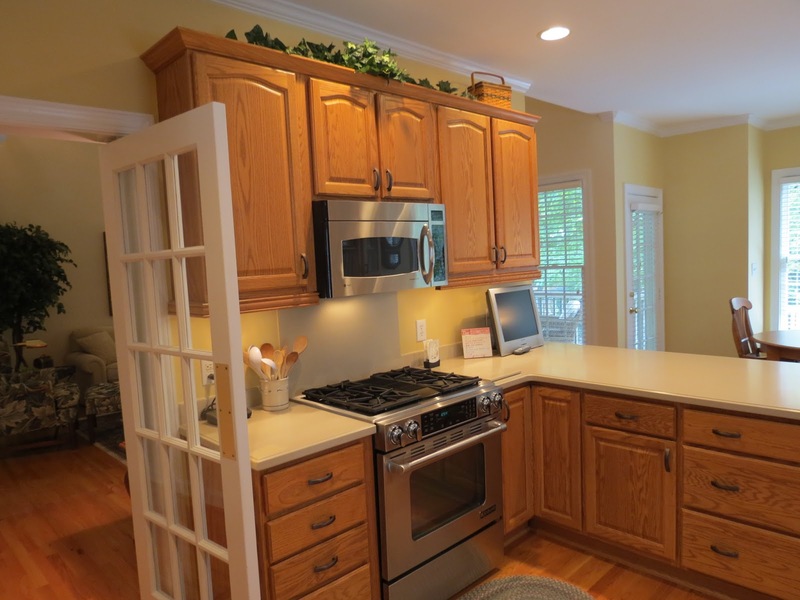 Therefore, you can also consider oak wood as material for your custom kitchen cabinets. 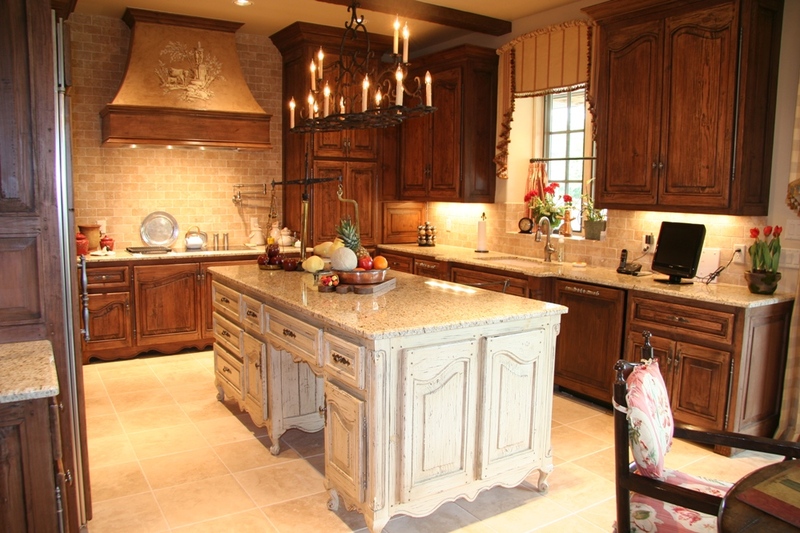 When you are choosing oak wood, there are more than one subspecies to consider. 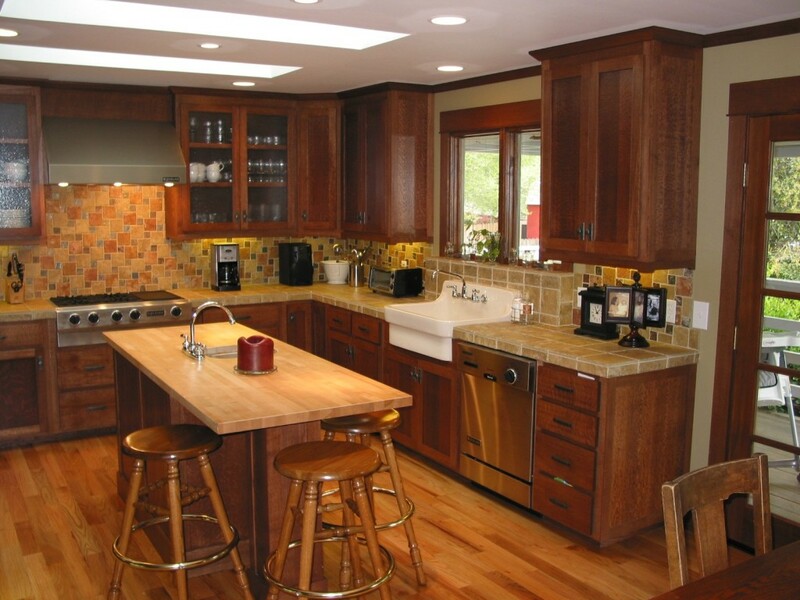 Red oak is relatively inexpensive, as well as strong and durable. 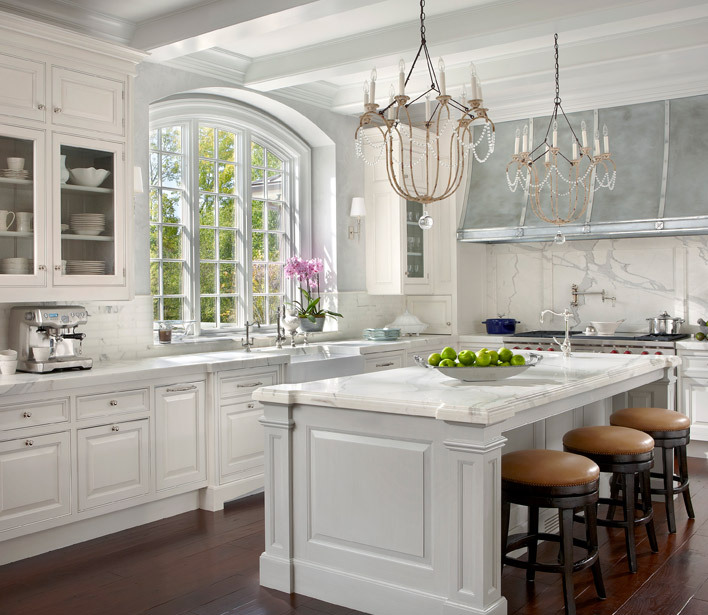 It is usually featured in traditional kitchen cabinet style due to its ability to showcase oak’s pronounced grain patterns. 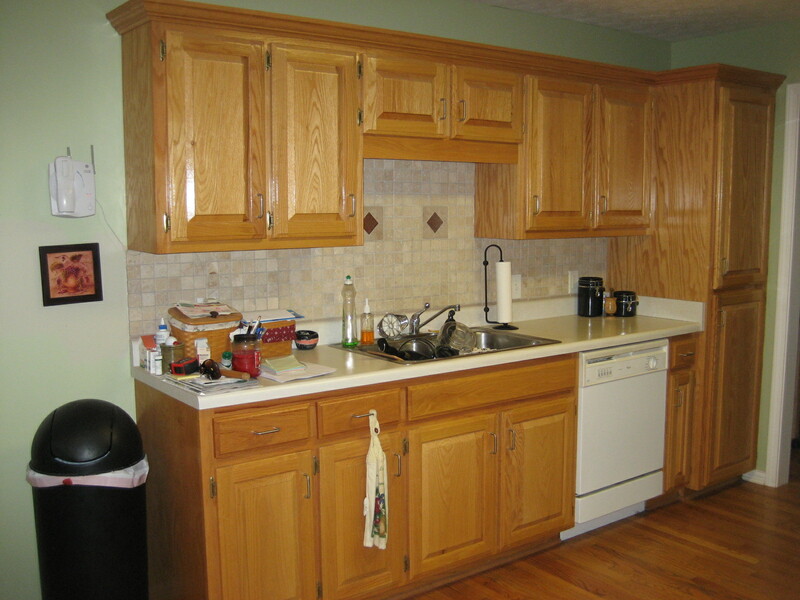 Stock oak cabinets also use red oak as main material. 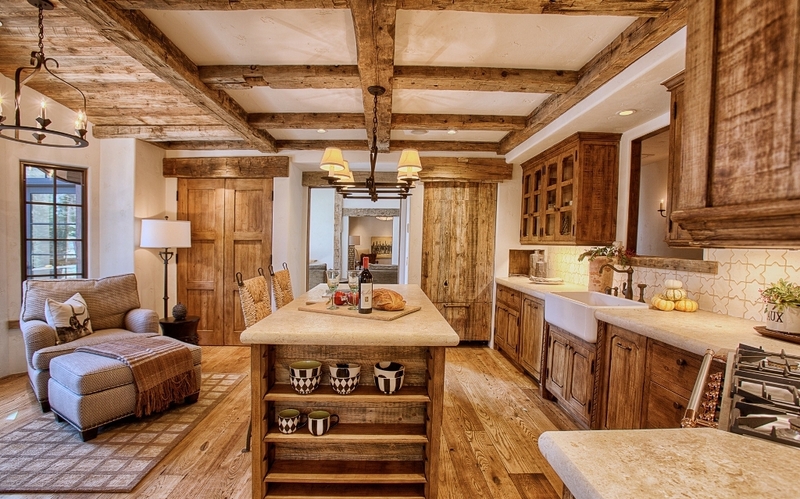 On the other hand, white oak has a more durable quality and even a bit stronger than red oak. 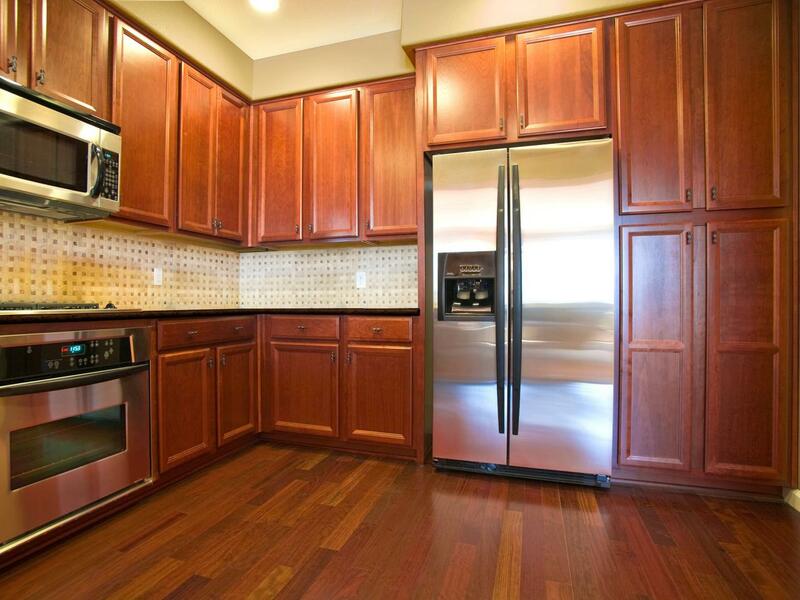 More golden tone is spotted on white oak, in addition to the more subtle grain pattern. 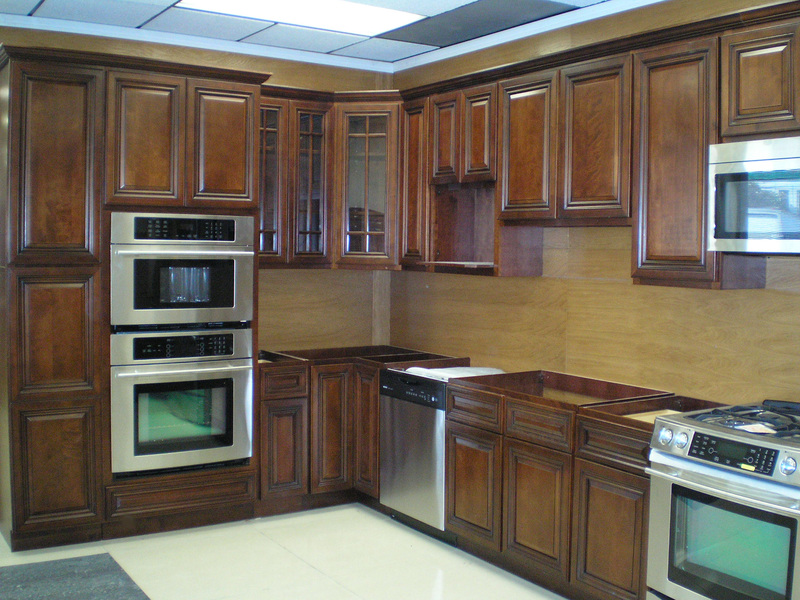 Luckily, for you who want wood cabinets but have limited budget, oak can come as a great solution. 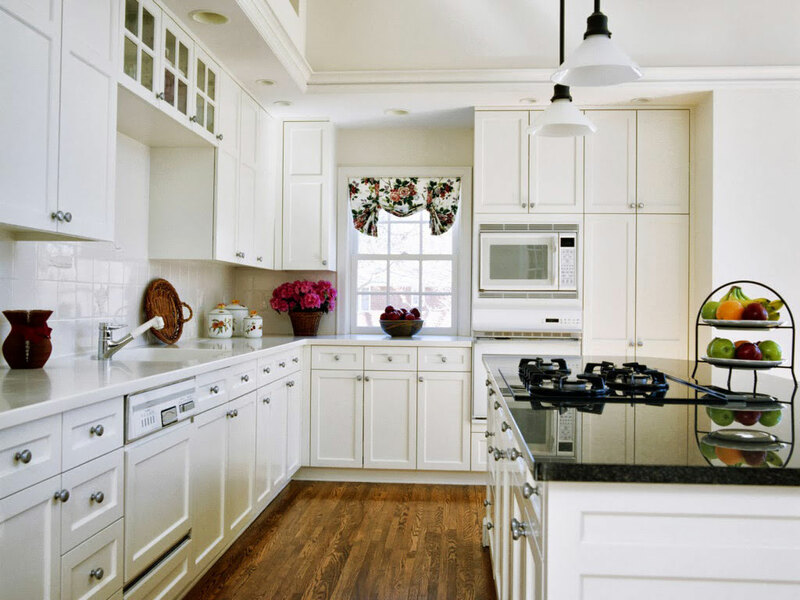 Compared to maple, birch, or cherry, oak wood cabinetry is less expensive. 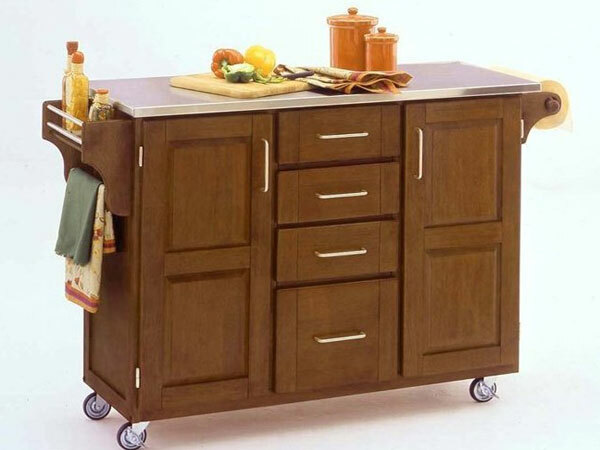 And with the lower price, you can still benefit from very strong cabinet units that are available in wide options, considering the wide arrays of oak kitchen cabinets colors and styles to choose.